Kia vehicles require regular maintenance to keep them operating at their highest level possible, be it a new Kia model or one of our reliable used Kia models. Kia of Lincoln's factory trained technicians and state-of-the-art equipment help provide peace-of-mind for you and whatever your Kia vehicle needs. To request a service appointment, please complete the information section below. 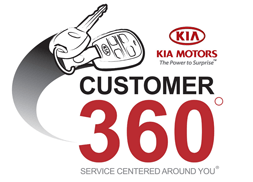 Our dealership service staff will contact you to confirm your appointment. If you have any questions, please call our service center at (402) 434-7009 or contact us online today!